The Pro Farmer Midwest Crop Tour completed the survey of corn and soybean crops in late September. The evaluation extended from Minnesota to Ohio. According to Pro Farmer, the soybean yield will attain 53 bushels per acre contributing to a crop of 4.7 billion bushels. 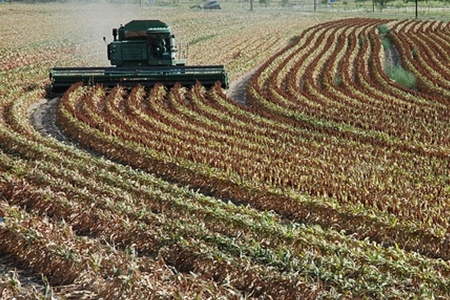 The corn crop is estimated at 14.5 billion bushels based on an average yield of 177.3 bushels per acre. These figures are higher than the USDA estimates incorporated in the World Agricultural Supply and Demand estimates released on August 10th. Although the assessment of the Pro Farmer Midwest Crop Tour is followed closely by traders, agricultural economists consider that the USDA estimates are more accurate.